Life’s full of good news and bad news for defence lawyer Robbie Munro. 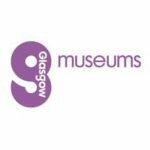 Although Munro continues to juggle cases from his demanding clientele with maintaining a private life, the balance begins to slip, and trouble in his personal and professional life never seems far away. The most common question asked of a criminal defence lawyer is: how can you possibly defend someone you think is guilty? Top answer, most people think, is money, and it does definitely help. However, the fact is that most defence lawyers are interested in justice, and most clients have the decency not to say if they are guilty. Often it’s the guilty ones who sound the most innocent and come up with the best lines of defence. Some of them have had a lot of practice. What’s important for defence agents is not to prejudge the issue; there are enough people doing that already. So I like to respond to that question with another question. How is it that a prosecutor can seek to convict someone he or she may think, and indeed, must presume by law, to be innocent? That was a question you heard asked about as often as you heard Sheriff Albert Brechin putting ‘not’ and ‘guilty’ together in the same sentence. The Sheriff sat up straight, raised his right eyebrow an inch and his voice an octave. ‘Really? Since when?’ The day Bert Brechin was appointed Sheriff of the Sheriffdom of Lothian & Borders, was the day the theatre world missed out on a fine pantomime dame. ‘Has someone changed the definition of assault and not told me? It is still defined as an attack by one individual upon another with evil intent, is it not?’ Brechin glanced around, as though some legal messenger might arrive hotfoot from Parliament House with news of a change to the law. ‘My point, M’Lord, is evil intent and the distinct absence of it in this case.’ I stepped to the side to allow the Sheriff a better look at the young woman in the dock. Heather Somerville was a student teacher, one week off her twenty-third birthday, two away from graduation and six from her wedding. One Saturday afternoon, a couple of months previously, Heather had arranged to meet her fiancé and go shopping. When he hadn’t shown up at the allotted time she’d gone looking for him, and, with her woman’s intuition requiring only to be placed on a low setting, had tracked him to the pub where he was watching a game of football with his mates. There had been an argument. He’d called her a nag. She’d slapped his face. The barmaid had ejected the pair of them and phoned the police. Subsequently, and on him apologising to her, the two had kissed, made up and considered the matter closed. Not so the Scottish Justice System. It was clearly an act of domestic violence. As such it fell to be dealt with under the prevailing zero tolerance policy on such matters. Heather Somerville had been arrested and held in custody. After a weekend pacing a police cell, she had appeared in court late on the Monday afternoon. 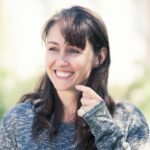 A conviction for assault would spell disaster for her future career as a primary school teacher, and so on my advice she’d pled not guilty and opted to take her chances at trial. Unfortunately, Heather’s boyfriend had been extremely helpful to the prosecution. That was the problem with dragging nice, law-abiding people to court. If you asked them to put their right hand up to God and swear an oath, they had the annoying habit of telling the truth, even if they’d rather not. Had her boyfriend been one of my regulars, asked to testify against his girl, there would have been a sudden and violent onset of amnesia at the mere sight of the witness box. Of course, while it was bad news for some that the Crown insisted on prosecuting even the most trivial of relationship spats, there was good news for others. The silver lining to the leaden cloud of zero tolerance was an increase in prosecutions, and more prosecutions meant more work for me. No matter how much I despised zero tolerance policies, eventually I came to view them the way dentists viewed bags of boiled sweets: dead against them in principle; happy for the business. ‘Such as errant boyfriends who don’t show up when they say they will and are then rude to their partners.’ If not, what was the world coming to? What would Mae West, Rita Hayworth and just about every Hollywood leading lady of yesteryear have done if they kept being hauled off to chokey every time they gave Jimmy Cagney a drink in the face or John Wayne a scud on the jaw? I’d been presenting my closing submission for half an hour. Hugh Ogilvie, the Procurator Fiscal, had done his in thirty seconds, pushing at a door to a conviction that was not so much open as falling off its hinges. Clearly Brechin was satisfied that the slap comprised the necessary wicked intent. It was time for a change of tack. ‘If your Lordship is not with me when it comes to the mens rea, is this not perhaps a case where the Court could consider these proceedings to be de minimis?’ Latin often helped when dealing with sheriffs as well as impressing the hell out of clients. That the law did not concern itself with trivialities was a well-established rule and set out, as every law student knew, in limerick form. I didn’t think a recital would help. Nonetheless, for some sheriffs, those with a shred of humanity, to find the incident de minimis would have been a way out. All Brechin had to do was accept that while, legally speaking, there had been an assault, the whole matter was so trivial that there need not be a conviction. His brother Sheriff, Larry Dalrymple, Livingston Sheriff Court’s Yin to Bert Brechin’s Yang, would have seized the opportunity with both hands. The most annoying thing about it all was that the trial had originally been set down for Dalrymple’s court because Brechin was supposed to be on vacation. Sheriffs were allowed an inordinate number of holidays. Bert Brechin took far too few. On this occasion, for some unknown reason, he’d returned early from a two-week bird-watching expedition on Madeira and volunteered to do the trials’ court. It meant that on this, the first day of May, when I should have been giving my face a wash in the morning dew, I was instead getting a hosing from the Bench. She did. Twenty-eight days to pay the fine. The rest of her life to pay for the conviction. 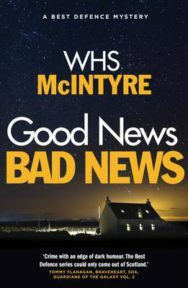 Good News, Bad News by WHS McIntyre is out now in paperback published by Sandstone Press priced £8.99. WHS McIntyre will be at Crimefest in Bristol on May 19th for their event Bring Lawyers, Guns And Money: It Might Be Legal, But Is It Just?.